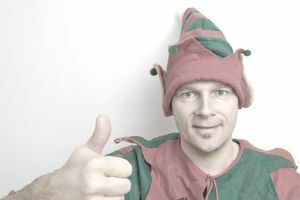 Is Your Workplace Elf-Friendly with Happy Employees? Think that Santa’s elves are happy on the job? They are and this is why. Some universal principles about how to create a work environment in which happy employees are operating on full throttle exist at the North Pole. Workplaces that emulate Santa’s workshop resonate with excitement, engagement, positive employee morale, and employee motivation. Happy employees are more productive, too. Elves are happy at work. At Santa's workshop at the North Pole, people focus on creating a work culture that is elf-friendly, fun, and engaging. Here's what they do to make elves happy at work; you can, too. Santa’s elves have a purpose bigger than themselves. What’s not to like about providing all of the little boys and girls in the world with exactly what they want for a Merry Christmas? Bringing joy through your work, knowing that you are participating in an activity that is bigger than your small world, doing work that impacts millions in a positive way—again, what’s not to like? Elves have a customer intelligence gathering system that is admired and envied worldwide. How do elves know what their customers want? They ask them. See all of the Santas gathered in malls talking with customers? They’re listening to their customers and keeping track of exactly what they want. They supplement their mall intelligence gathering by reading letters to Santa and have a hundred other ways to stay close to their customers. Ever written to the North Pole or to Santa? Thanks to the postal service, Santa, and the elves got your letter—and you likely received a response. Santa's Workshop and its elves are a customer facing and integrated organization that has no objective other than producing products that their customers need, want, and revel in. They have, not just happy customers, their customers are delighted and become word of mouth (WOM), evangelists. Elves feel totally needed and secure in their employment. Elves have lots of customer orders - more than they can fill, for all of the good girls and boys. Since there are definitely more good girls and boys than bad, elves know that they will never run out of work. Job security is a desirable condition to create happy employees. Feelings of job security allow the energy of the elves to be invested in building, creating, sharing, and producing a helpful, supportive, happy work environment. No bad energy looms where elves do their jobs. Elves have both a known mission and a vision. Elves know that they must meet the goal of presents delivered on Christmas. They must do whatever it takes to make that delivery happen. So, elves have a clear mission that guides their daily work: a mission based on customer feedback so integrated that it unconsciously shapes the mission. Yet elves are driven by their overall vision, too: to bring joy to all of the girls and boys—joy that stretches all year round. This vision is a higher calling that chills and thrills and keeps elves moving on the coldest and snowy winter day. Elves are clear about the impact of their work. They know that they affect the lives of boys and girls worldwide. Not just during the holiday season, the impact of their gifts is felt all year long. Boys and girls play with toys and cherish memories of holidays with family and friends all year. And, pictures from the Christmas camera bring back moments that they might otherwise have forgotten. Happy employees know about the impact of their work on the lives of customers and coworkers. Elves know that they make a difference in millions of lives. That's why elves hop out of bed smiling every day. They sing a variation of, "hey-ho, hey-ho, it's off to work we go." The guy who manages the elves (the boss) is accessible, easy-to-talk-with, participative, fair, egalitarian, and fun. Santa’s merry laughter envelopes the workshop in an environment of joy. He doesn’t play favorites because every elf matters to get the work done. Every elf idea is seriously considered because the goal is happy children, not stoking the boss’s ego nor feeding his need to control. Credit? Who needs credit? All of the elves work together, under Santa's leadership, to pump out the toys for children. Elves are smart; they know what they’re doing. Santa knows that the best way to lead elves is with gentle encouragement. They don’t need micromanaging or to be told how to do their work. Elves receive perks that make them feel cherished and needed. Mrs. Claus is famous for her cookies that she shares with joy in the workshop. Hanging out with reindeer, particularly a special reindeer with a bright red, glowing nose, is another opportunity not shared by many employees. And, the outfits. Well, let’s just say that the elf costumes, supplied by Santa, bring a smile to every child’s (and elf's) face. Elves have the opportunity to continue to develop their skills and abilities. Not only do elves learn about all of the new technology that affects new toys in the off-season, but they also cross train on the job every day. They can make a whole product or cooperate with other elves to produce a gift for a child. Promotions are not often available in Santa's Workshop where a flat hierarchy rules the day. But, training, changed work responsibilities, and lateral moves are common, so elves can increase their skills and value. Combating the boredom so often found in repetitive work is easy when elves have the opportunity to do different tasks each day. Staying up-to-date on innovations in reindeer food, the technology that powers the North Pole village, and the interworking of Santa's sleigh, rule the day. When engaged elves are learning, and keeping their skills up-to-the-minute, the future for Santa, the elves, and the holiday traditions for little children and big children worldwide, is secure for generations to come. Trust and respect permeate the work environment where elves spend their day. Elves feel intrinsically valued. In Santa's Workshop, the behavior and interaction of the boss and coworkers broadcast a message of trust, respect, belief in, and value. Not spoken about very often, actions form the message elves believe in. Santa's actions speak so loudly that he rarely needs to say anything about what he believes. Elves know. Elves receive lots of positive feedback and recognition. Not only do elves receive droves of thank you letters from happy children everywhere, but they also receive positive feedback from Santa every day. In a work environment in which every employee is happy, recognized, and the recipient of positive feedback, there is more positive feedback available to share. Elves have no need to compete for positive attention, in a work environment that provides lots. So, happy employees recognize their coworkers and help them feel appreciated. This is why elves are almost always smiling.